Hal Rubenstein’s LinkedIn profile headline is Writer, Designer, Consultant, Critic, Speaker, Educator, and Brand Facilitator. 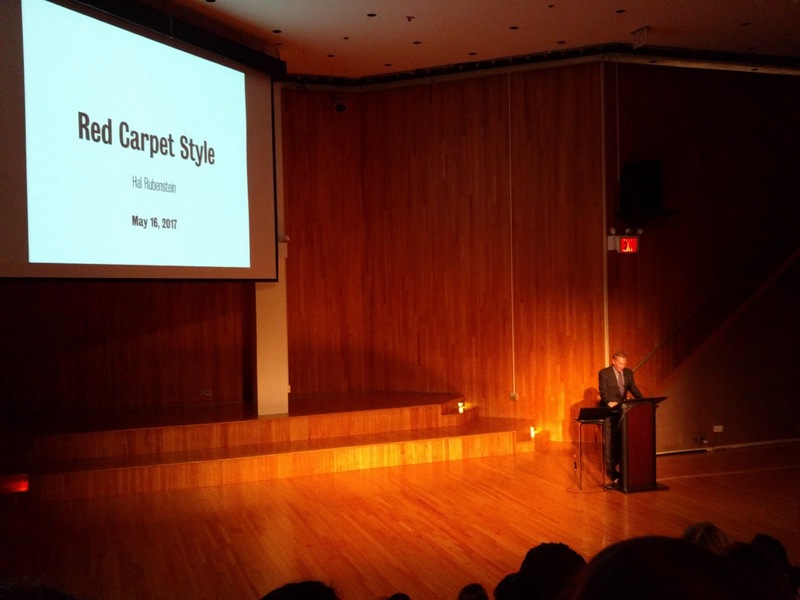 Perhaps most well known as InStyle’s Founding Editor for two decades, he was more than qualified to speak about Red Carpet Style at the Museum at FIT (Fashion Institute of Technology) on Tuesday, May 16th. Reading passages from his 2011 book 100 Unforgettable Dresses he engaged the audience with stories of fashion moments that made certain Hollywood women famous. Think of Nicole Kidman in chartreuse John Galliano for Dior at the 1997 Oscars, Jennifer Lopez in the deep v Versace gown at the 2000 Grammys, and more recently Lupita Nyong’o at the 2014 Golden Globes in red Ralph Lauren. These are all examples of what Rubenstein refers to as “the right dress on the right woman at the right time creates this memorable moment that influences how we see beauty, how we see femininity.” These women, along with their stylists created iconic moments on the red carpet that established them as style stars. Rubenstein talked about the evolution of the red carpet at the Oscars, which orginally didn’t exist as a fashion runway, but a simple entrance for stars to get into the building. 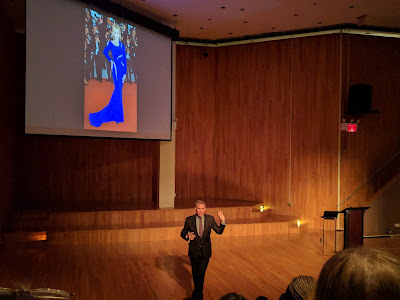 He started his lecture with a picture of Elizabeth Taylor at the 1976 Oscars in a red strapless Halston gown. The only pictures or video of her in the dress was on stage. Only in the late 80s did the red carpet become a big deal when designers such as Giorgio Armani offered to “dress” stars for the Oscars, including Susan Sarandon, Jodie Foster and Michelle Pfeiffer. He went on to discuss other actresses who had their red carpet moments in the past two decades including Halle Berry, Tilda Swinton, Gwyneth Paltrow, Jennifer Lawrence and Lady Gaga. In 2017, the concept of a red carpet goes beyond award shows. With social media everywhere and entertainers Instagramming their every move, any opportunity to be photographed is an opportunity to create a fashion moment. Rubenstein said that stylists are now putting together 150-200 outfits per junket to choose from when their client is promoting a project. 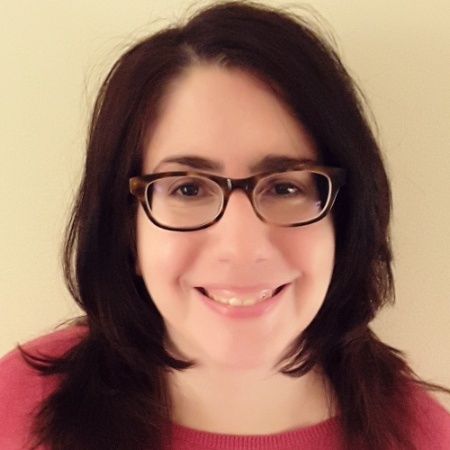 Rubenstein also decried the obsession with young celebrities such as Selena Gomez, Emma Stone, Taylor Swift and Emma Watson. While he says they rarely make fashion mistakes, they are not creating style moments. 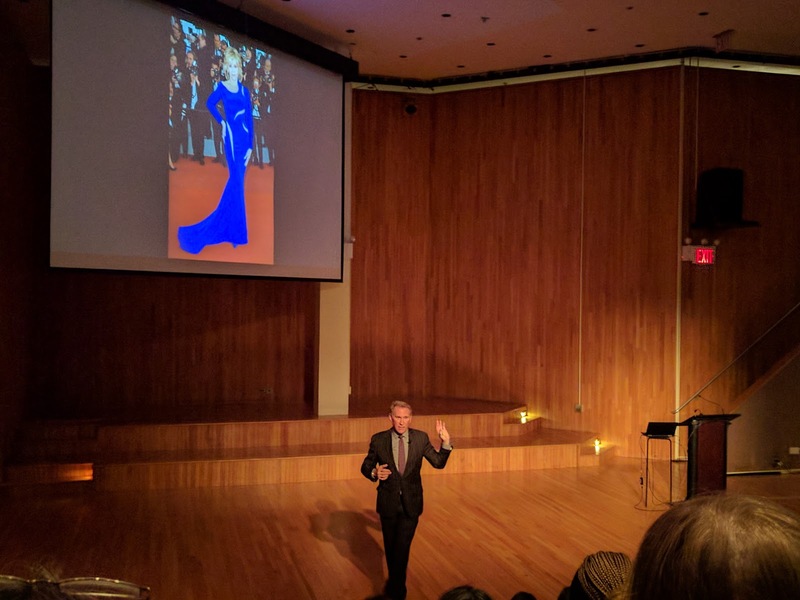 He closed his lecture instead with a radiant Jane Fonda on a 2015 red carpet in a blue Versace gown, celebrating that she will be 80 on her next birthday. A Q&A was held after the lecture, where Rubenstein talked about fashion (ephemeral) vs. style (permanent), his love for Uniqlo jeans, and the state of retail vs. ecommerce. He said that ecommerce has its place but so does a well curated physical store where the staff know each item well and the element of surprise and discovery still exists.